Ultra-High Accuracy: In real-life scenario, the accuracy is as high as 100% with FAR=0.000001%, FRR?0.01%. Dual Iris Capture: Since the device captures iris patterns from both eyes, false acceptance rate is as low as 0%. Automatic Height and Distance Adjustment: The camera tilts automatically to accommodate subjects of different height and also automatically focuses on subjects within a wide range of distance. 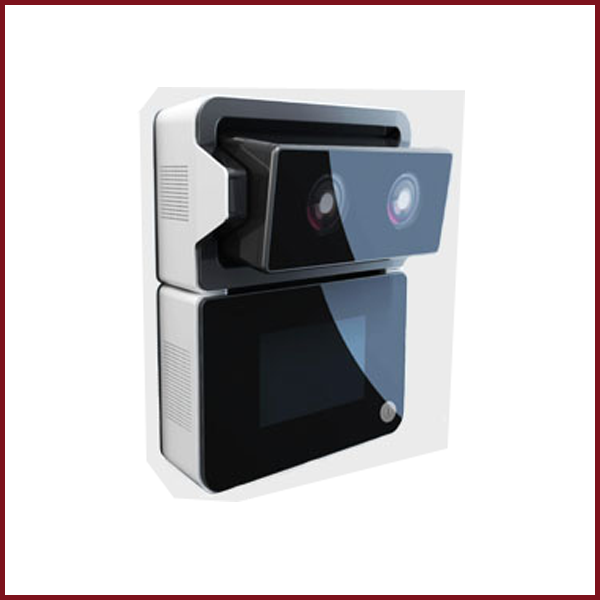 Stand-alone Integrated System: The product is a complete system which can operate independently by integrating iris capture camera, face camera, TFT touch-screen, etc. Simple Configuration, Easy Installation and User-friendly Interface: The system is simple and easy to configure and install, and provides a user-friendly interface via touch screen. Maximum of 400 Users: The system can register up to 400 users and store maximum of 100,000 logs.